Equipment is at high risk of damage during transport and shipment. The damage is often not discovered before the cargo arrives at the final destination, and it is difficult to determine responsibilities and when it happened. 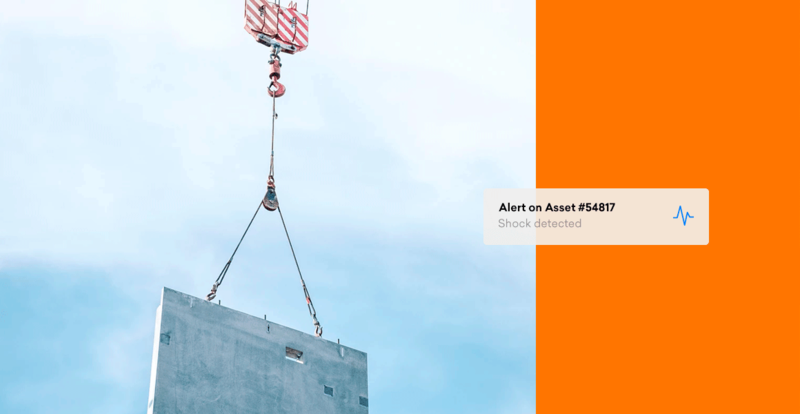 Trusted tracking device has a built-in shock sensor that records and monitors impacts to control the handling of equipment. The tracking device can alert you when potential damage events occur. In some industries, the shock sensor is also known as an impact recorder. Set up a threshold value upon excessive G-force. At impact events, an alarm will immediately inform the right person when the threshold exceeds and send real-time data of time and position of your equipment in transit. It provides information that enables the shipper to immediately identify and access the impact to make fast decisions regarding delays and other unexpected events. Measure impacts on, e.g. containers during rail transport or road transport. Harbor handling is also at high risk of cargo damage – we have many years of experience of helping customers manage damage when loading and unloading cargo at harbors. B&W Vølund is using the data from Trusted Visibility Suite™ to analyze when their cargo had been exposed to shock during transport and shipment. It enables them to control the handling of their valuable cargo which has turned to cost savings. Identify the causes of the impacts and mishandling to your cargo and equipment in transit and be able to react quickly and make smart decisions. Use the shock data for documentation of the handling, create lower shipping costs and improve customer information and satisfaction. How does the shock sensor work? The 3-axis accelerometer records impacts and vibrations. The X Y Z accelerometer can detect the direction of the impact. Set up a maximum threshold on, e.g. 5 G and receive alarms when the threshold exceeds. There is an increasing need for optimizing processes and securing planned delivery without damage. These issues can be handled and controlled with a simple data logger that provides valuable digital information. If you’re interested in digitalizing your business and don’t know how a data logger works, you can start here. This guide will give you a complete understanding. Learn more about the functions of the data logger here. Prove toward your customers that the shipment complies with the requirements that have been made. The shock sensor records and stores the highest impact that has been registered since the last report with time and position. This means that we support a compliance report on the handling during the transportation that can be used for documentation.